Wendell Holland wraps up his exclusive Survivor: Ghost Island interview with Reality TV World -- including why he felt very confident going into the fire-making challenge and whether he was aware Domenick had been contemplating a fire showdown between the two of them. Domenick Abbate wraps up his exclusive Survivor: Ghost Island interview with Reality TV World -- including if he believes Laurel Johnson played a great game, and why he was frustrated over Sebastian Noel and Kellyn Bechtold's anger towards him. Angela Perkins talks to Reality TV World about her Survivor: Ghost Island experience -- including whether she regrets leaking Sebastian Noel and Donathan Hurley's extra-vote plan to take out Domenick Abbate, and what frustrates her about the editing this season. Donathan Hurley talks to Reality TV World in an exclusive interview about his Survivor: Ghost Island experience -- including why he chose not to cast his vote for Laurel Johnson, his best friend in the game, to win. Sebastian Noel talks to Reality TV World in an exclusive Survivor: Ghost Island interview -- including what's the latest on his romance with Jenna Bowman and why he was so bitter and resentful towards Domenick Abbate at the end of the season. Exclusive: Laurel Johnson talks 'Survivor: Ghost Island' -- I do regret not flipping on Wendell Holland and Domenick Abbate! Laurel Johnson talks to Reality TV World in an exclusive interview about her time on Survivor: Ghost Island -- including why she was "disappointed" in her edit and will be leaving this season with some frustrations. 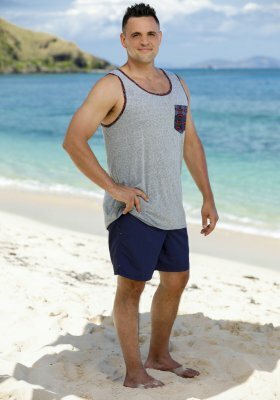 Domenick Abbate talks to Reality TV World in an exclusive interview about his time on Survivor: Ghost Island -- including what threw his game off at the end and what interesting statistic he discovered about the jury members. Exclusive: Wendell Holland talks 'Survivor: Ghost Island' Final 3 with Domenick Abbate -- Laurel Johnson got us there, she is the reason! Wendell Holland opens up to Reality TV World in an exclusive interview about his time on Survivor: Ghost Island and what he had expected from the jury voting. Survivor: Ghost Island had "the most dramatic finish in Survivor history" on Wednesday night, according to longtime host Jeff Probst -- and boy was he right!